Could Garamond Save Millions of Dollars? There’s a hot topic trending on social media this week based on a project by a teenager. Could something as simple as a font change save the U.S. government millions of dollars? Suvir Mirchandani, 14, crunched numbers and type specs to conclude that the federal could save $167 million and state and local governments could save an additional $67 million by switching to Garamond for all printing. His study was recently published in the “Journal of Emerging Investigators,” a scientific journal for middle and high school students. “The government could save almost $234 million simply by switching to that one font. That’s because the font is thinner, it’s lighter, it just simply uses less ink,” Mirchandani said in an interview with CNN. Seems like a pretty cool concept, right? Typographers have come down on both sides of the issue. The teen has been praised for the idea and logic. Yes, by switching to a thinner, lighter typeface the government could save money on paper and ink. But there are some concerns. Garamond is more efficient because it is smaller, making it somewhat harder to read. (The study did not adjust the typeface for an equal x-height.) The study is also based on the idea that the government prints everything on your standard office printer (which it does not). There is question as to what the actual amount the government actually spends is in relation to printing costs. And for any change such as this one, you could have to think about the cost to get users to make the switch. This really is a great theory and topic of conversation, and could be something that companies and government entities should look at when it comes to ways to saving money. Thanks Mirchandani for making the world a little more aware of what a typeface can do. Hopefully you weren’t the subject of a prank on Tuesday in honor of April Fool’s Day. And even if you were maybe you are ready to share a design giggle or two. Youth Designer put together a fun collection of graphics that are sure to make you laugh. Go peruse through the full collection. It is sure to bring a smile to your day. If you have not read “10 Designers Who Have Changed the Face of Business, Music and Art” on the Creative Market blog this week you are missing out. 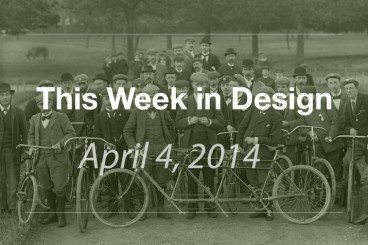 The post features 10 creative people who have changed the world through design. The design of the game is fun and simple and works by recreating common candy wrappers in a flat style and removing brand identifiers. Each “wrapper” is based on the color and type schemes of the actual candy bar. The fun game shows just how important these design concepts are to creating effective brand visuals. I scored 12 out of 40. (Maybe I need to eat more candy!) How did you do on the quiz? Share your score with us in the comments.